Knitting machines made by Brother and KnitKing are really the same machines. Brother produced both brands and the machines are the exact same except for the name on the front. The 260 KnitKing is a bulky machine with a 24 stitch punch card for making designs. It has 114 needles space at 9 mm each. The further apart the needles, the thicker the yarn you can use. My machine is a Brother bulky but as stated above they are the same. This is not a complicated machine to learn to knit on. I have made afghans, Christmas stockings, sweaters and slippers to mention a few. I like this machine because I can use any 3 or 4 ply yarn on it so no special ordering is required. 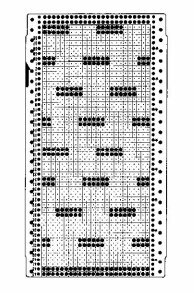 The punch card will produce a pattern that is 24 stitches wide. This pattern can be repeated a number of times across the fabric width you are knitting. Or you can position your pattern or design to be knit only once in a specific place on your fabric. This is than called a motif. 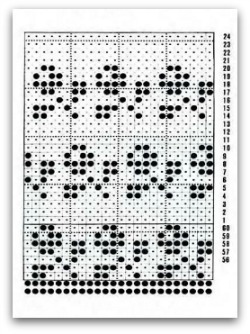 You must remember the pattern for these 24 stitch punch cards must be either 24 stitches wide or any number evenly divided into 24. My friend was at a flea market and found an old antique machine. There was no electronic and no punch card back than. If you wanted a pattern you had to manually create it. If this machine had been any more basic, it would have been two needles. We never did use it , but it was great to see how far they machines have come. It also has a ribber attachment made for it. A ribber is great for making collars and cuffs but it can do so much more that than. Rib Tuck pattern Transferred stitch pattern And so much more I enjoy my machines and they are tops when it comes to a home based business. 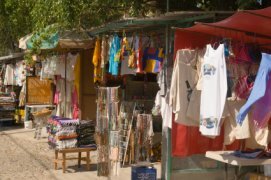 There is no better way when it comes to producing knitted items. Knitting machine manuals and where to find one when yours is missing.